By now, everyone in the Boston area knows what a nightmare that bed bugs can be. Bed bugs, about the size of an apple seed, are often able to sneak into a residential property undetected. The unwanted pests will then find a place to make their nest and begin multiplying at a rapid rate. 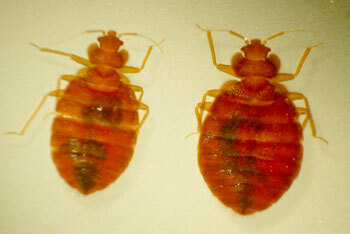 Residents of the affected residence usually don’t know they have a bed bug infestation until they begin waking up with itchy bite marks all over their bodies. Bed bugs can move fast and even after finding evidence of their existence can be tough to locate. Multi-family housing presents a particular challenge for Boston apartment bed bug extermination due to the fact that residential units connect to one another. Boston area apartment complexes present such a problem because of how easy it is for bed bugs to move from one unit to another. One resident may be waking up with itch bed bug bits but they may have their nest in an adjoining unit. Couple this with the fact that some residents will neglect to report a serious issue and bed bug infestations can stay in an apartment building for years at a time. Apartment bed bug extermination service requires some preparation by the tenants that often dissuades them from reporting an infestation as well. NW Pest Control has been offering its apartment bed bug extermination service to apartment complexes for a number of years. We understand the sense of panic that many residents will feel upon learning of a bed bug problem at their residence and will get the issue resolved fast. Our expert staff is trained to be able to identify the location of a Boston bed bug infestation fast so we can get started with the apartment bed bug extermination process as soon as possible. We will make sure to notify any tenants if their place of residence will be affected. For many Boston area apartment complexes the best way to prevent a bed bug infestation on their property is to begin an ongoing bed bug management program with NW Pest Control. Our Boston bed bug management includes routine inspections, monitoring devices, and tenant education so you can be sure you are ready to handle any bed bug problem. Bed bug infestations have become more and more common in recent years and show little signs of slowing down. Make sure you Boston area apartment complex stays bed bug free with NW Pest Control.